Kicking off your social media campaign is one thing: setting goals, scheduling posts, picking clever hashtags, and developing a plan to promote it all. Everything is feeling pretty solid—right? But how can you be sure since no plan can really survive the first contact without a scratch? The key is flexibility and knowing how to measure certain metrics to measure the performance of your marketing plan. These metrics will let you know what works, what doesn't, and what you can improve on. But how do you start? It can get overwhelming with all the numbers available to you. Before diving into the details and measuring the reach of every single photo and tweet, you need to zero in on your actual social media goals. Are you looking to disseminate information on your brand, broadcast news, or answer questions from your community? It is very important to understand the needs of your audience. This means knowing the format and type of content that communicates to them best, as well as the most relevant channels to reach them. So first nail the overall goals of your campaign, then proceed to the next step. Social media campaigns typically focus on these objectives: awareness, engagement, driving traffic to your site, identifying advocates or fans, and identifying your brand’s share of voice. To measure awareness, you need to know how far your message is reaching. And to determine this, keep an eye on exposure, volume, and amplification. To measure engagement, the typical metrics are retweets, replies, comments, and participants. This gives you a concrete idea on how many, how often, and in what forms your community is participating in your campaign. If your goal is driving traffic to your website, then you need to track URL shares, clicks, and conversions. These metrics identify if visitors are moving from your social media to your external site and their actions once they're there. To find advocates and fans, consider tracking contributors and influence. These metrics tell you who are participating and the kind of impact they have. Are you looking to increase your brand’s share of voice? To do this, you need to track your volume relative to your competitors. This tells you how much of the overall conversation is about your brand. 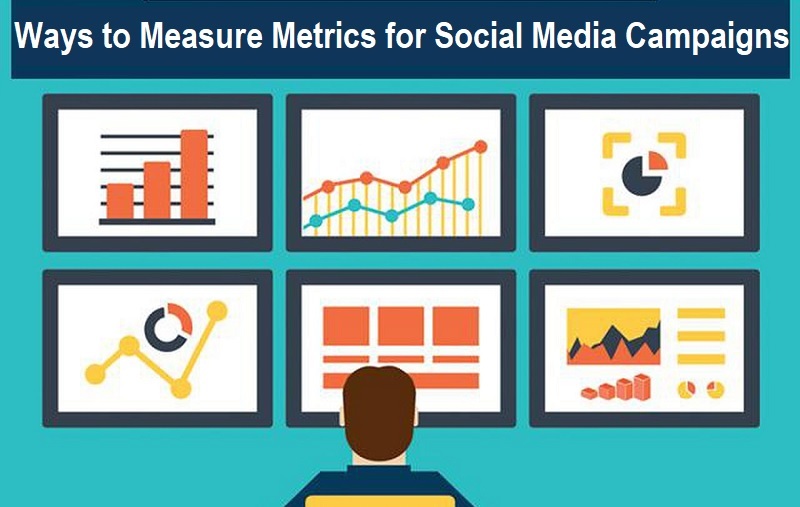 After identifying the actual metrics you need to watch, the next step is to measure them. Social media platforms usually provide some analytics, but third-party tools like SEMrush can provide a much bigger picture. It’s important to note that many tools provide real-time updates. If you can plan ahead and set up tracking of the metrics you’ll need, it simplifies the process of accessing and collecting the data later on. Set this up, do what you can to filter out spam, and sit back to the tools can do their work. With enough collected data, you can form a baseline or benchmark to report on your results. There are two questions you need to answer: How do your numbers compare to your expectations? And how do they compare to your competitor’s products or campaign? There is an advantage to using social media analytics: it allows you to run reports on your competitors just as easily as your own brand. At this point, it is also wise to decide on the schedule of your reports. Depending on your needs, you may require quarterly, monthly, or even weekly reports. No matter which report is best for your brand, remember to check your data regularly. You’ll reap the benefits of this after a few months when you have older data to compare to your new data. Once you build up enough data on your needed metrics, you can analyze and make adjustments to your campaign. Did you miss something? Were there superfluous metrics? Identify where you can make adjustments and modify it accordingly. At this point, the ability to constantly measure your social media campaign begins to pay dividends. Keep close tabs on your metrics and you will be able to respond correctly to developing trends.